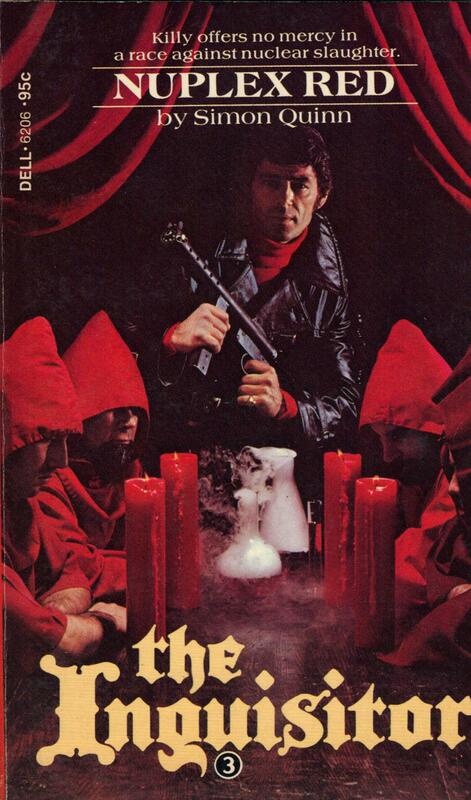 Proof that there are still horror-related paperbacks of the 1970s I have never heard of before! 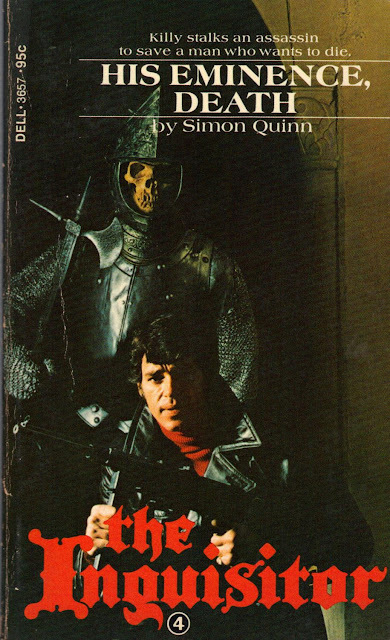 Thanks to critic Andrew Nette of Pulp Curry, I've been introduced to this six-volume series The Inquisitor, by Simon Quinn. Published by Dell Books throughout 1974 and '75, the covers feature incredible imagery of their day, conflating spy and occult tropes with a steely-jawed hairdo dude depicting one Francis Xavier Killy, "an Irish American lay brother of the Militia Christi, a tertiary branch of the Dominicans, working for the Holy Office of the Inquisition in Rome." 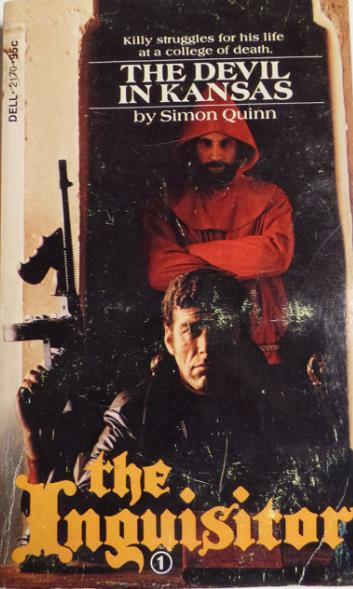 I don't know what any of that means, but I do know that "Simon Quinn" is the pseudonym of bestselling author Martin Cruz Smith, best known for Gorky Park and Nightwing. You can read more about the books here, here, and here. A search of Abebooks shows most of these paperbacks in the $10-$45 range. In short, I was disappointed by the lack of any real horror elements, but some of the stuff I found instead was... pretty extraordinary. Basically, Cruz's premise was that Frank Killy, a one-time CIA operative, is recruited into the Holy Office, which was once called the Inquisition. Over time (in these novels, not in real life), it's evolved into the Vatican's intelligence/espionage service. There is some slight basis for the Holy Office being used in this capacity. During WW2, Father Hugh O'Flaherty, who was the Notary for the Holy Office, worked undercover to save over 6500 Jews and Allied soldiers from the Nazis. In effect, he became the Vatican's unofficial "Chief of the Secret Service." He was known as the "Scarlet Pimpernel of the Vatican." Killy's the Holy Office's top agent. 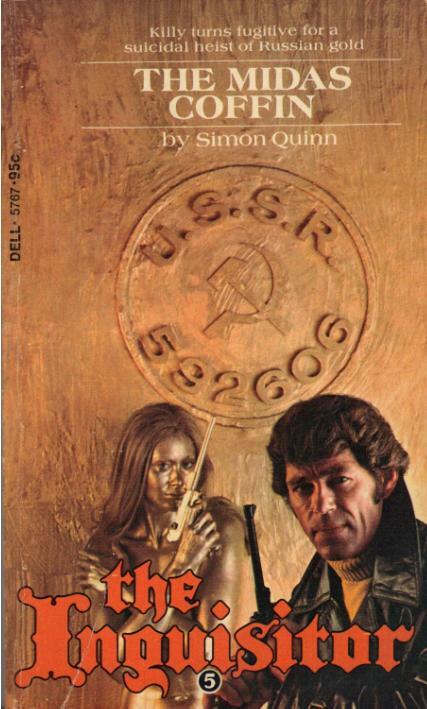 In each novel, like James Bond, Matt Helm, and Quiller, he's sent out to deal with commies and other world-endangering threats, and keep the world safe for Catholicism. They're actually pretty damned good. 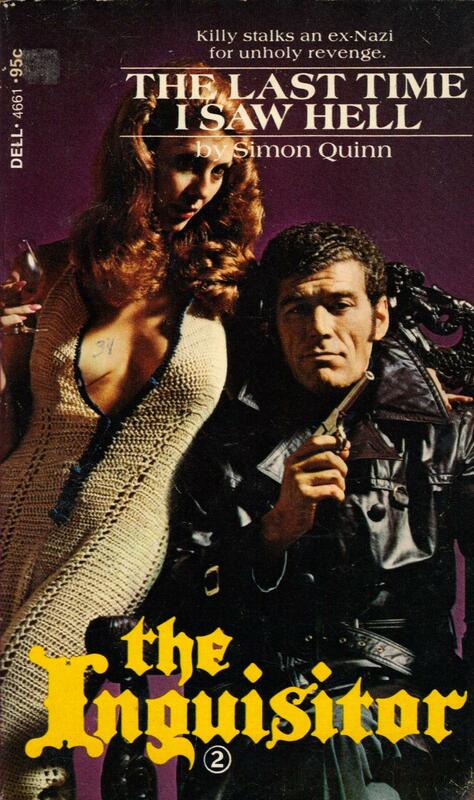 One of them, THE MIDAS COFFIN, was a finalist for the MWA Edgar in the Paperback Original category. It was Smith's fourth and, to date, last nomination. Destined, at least so far, to always be a bridesmaid.